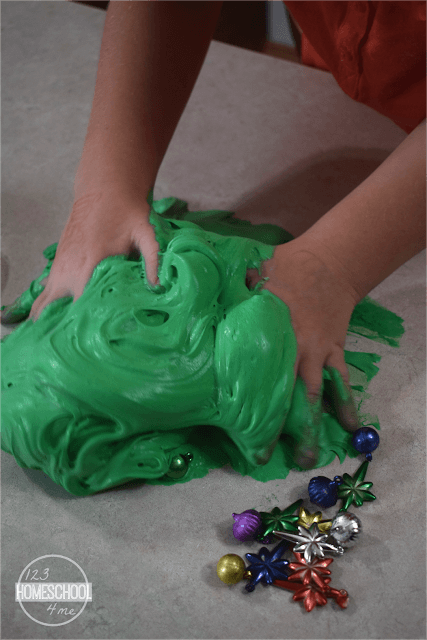 This Christmas Fluffy Slime Recipe is so cool! It has the most amazing cloud like texture and is so much fun to make into a Christmas tree to decorate! 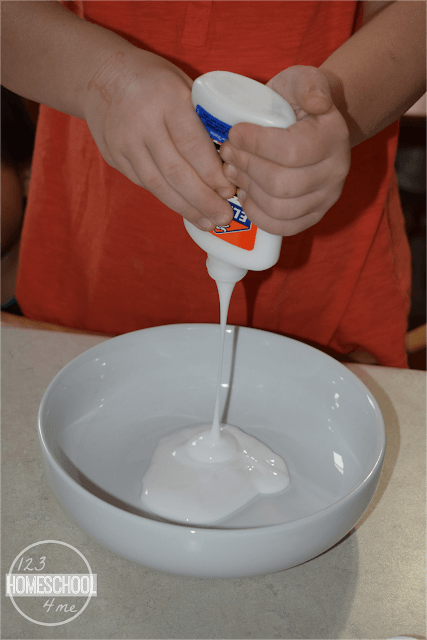 Start off by pouring a 4 oz bottle of glue in a bowl. That’s 1/2 cup. 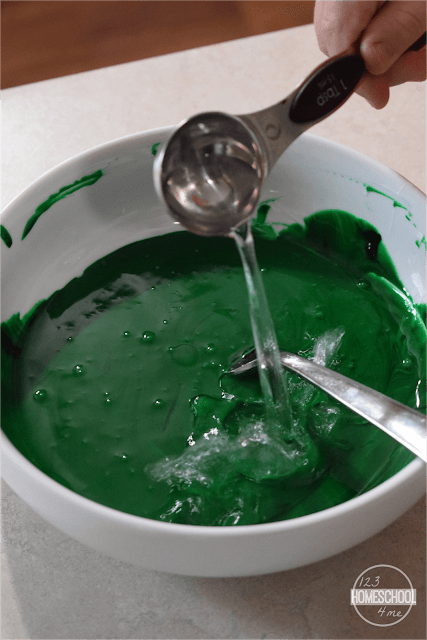 Add green food coloring to the glue and mix well. 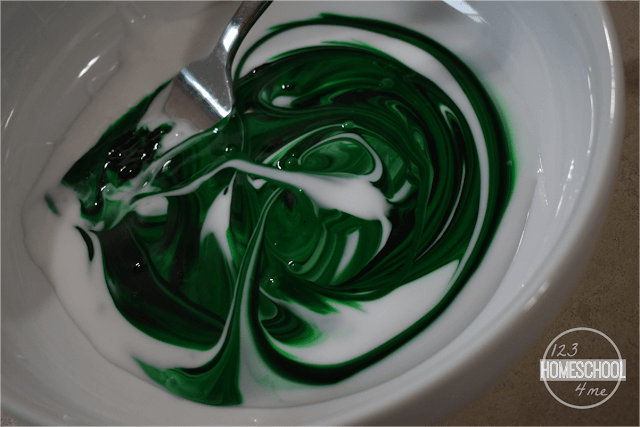 HINT: You want it to be a very dark green color as it will lighten up considerably later. Add in 4 tablespoons contact solution and mix well; it will start to thicken.Make sure you use regular contact solution, not a sensitive eye solution. 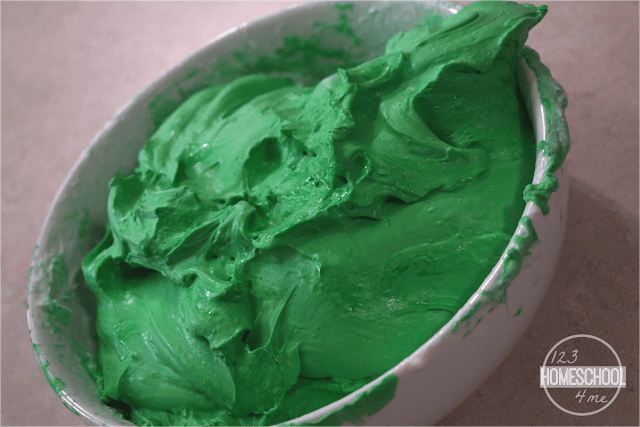 Add in about 1/2 can of whit shaving cream and mix well. The cheap stuff is fine, just make sure you don’t mind the smell! 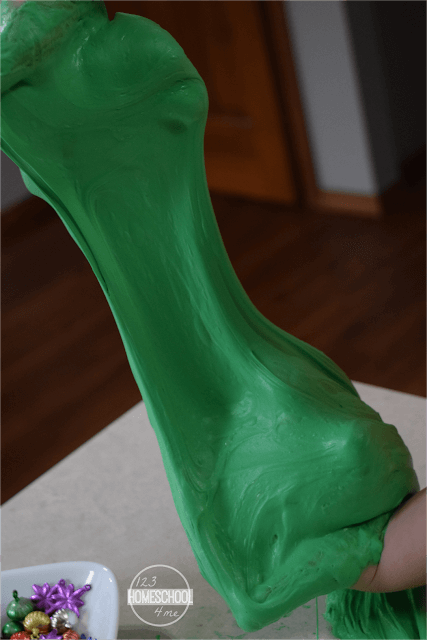 Now you have some beautifully stretchy, slimy, fluffy slime! 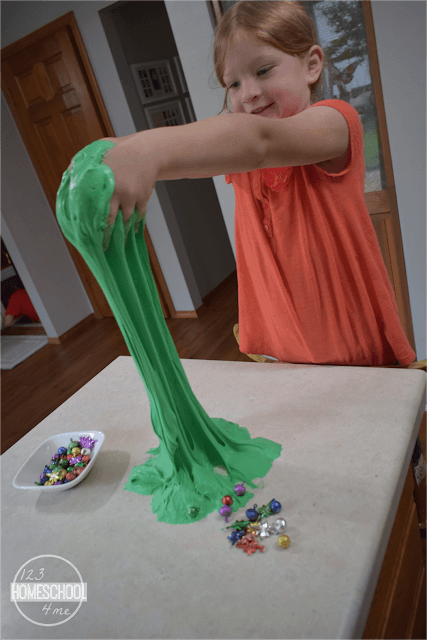 This slime not only moves and flows in a fun-to-play-with-way, but it is so fluffy! How beautiful is this shaving cream slime? It moves so beautifully! 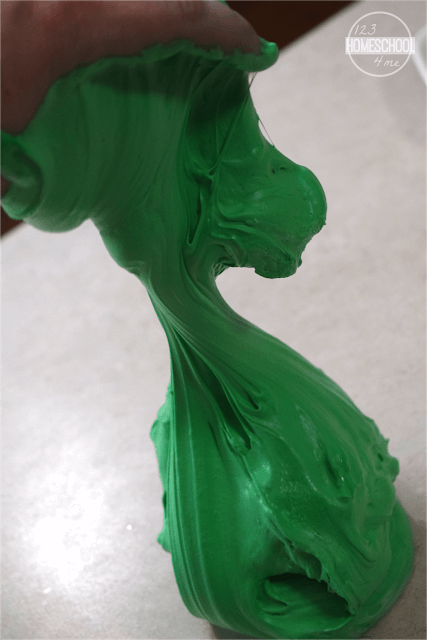 This slime recipe makes beautiful sheets too. It is just so beautiful to watch flow! 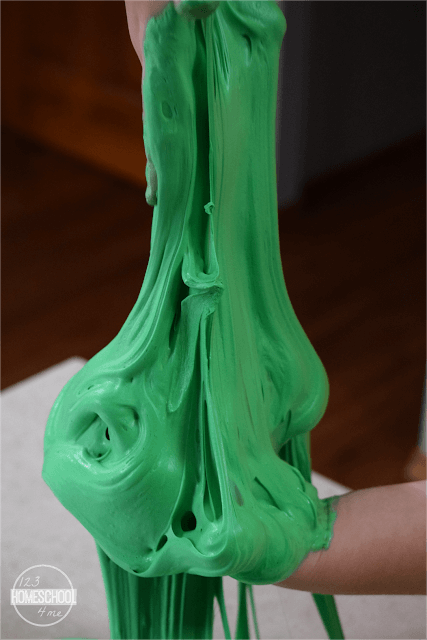 This is such an easy slime recipe that kids will love making! 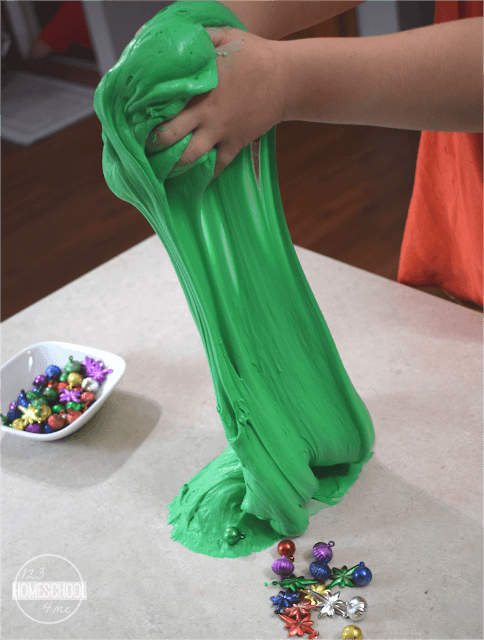 Making slime is fun, but playing with it is even BETTER! 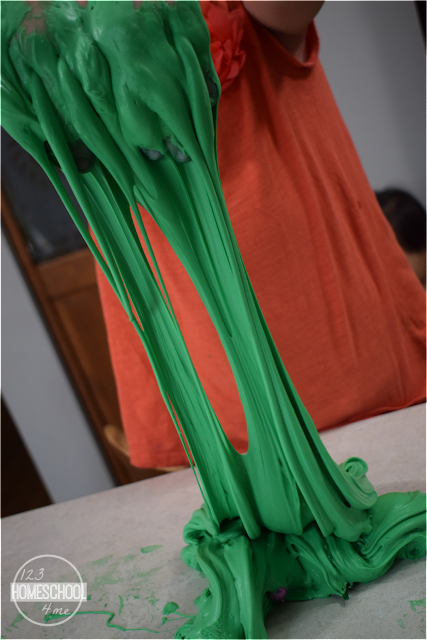 Sorry, I just can’t stop sharing pictures of this slime because it is just so beautiful to watch flow through my kiddos hands! 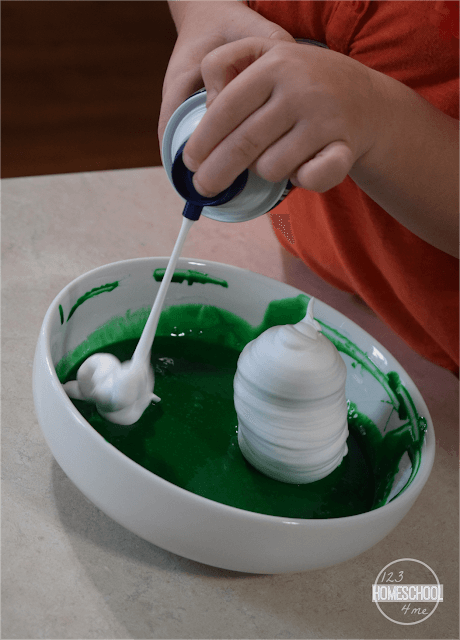 And if your kiddo ever gets tired of watching the slime move through their fingers, we love using these mini ornaments to decorate it as a Christmas tree or wreath.